How can I custom page range to convert MS Word file to PDF file by using A-PDF Word to PDF? I have purchased A-PDF Word to PDF tool. 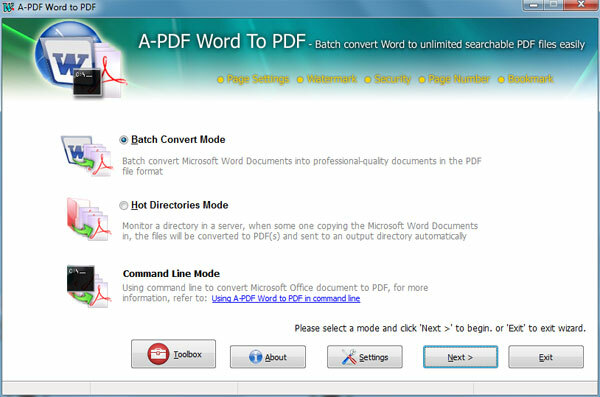 This is a good tool which helps me to convert MS Word file to PDF file. The conversion speed is quick and accurate. Now I want to control the converted pages, only convert some of the Word pages to PDF, how do I? Thanks for your support. 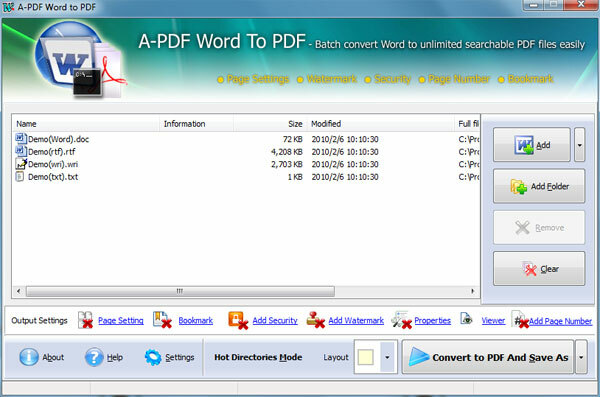 A-PDF Word to PDF allows you to convert or batch convert MS Word 2000, 2003, 2007 files to high-quality PDF files. If you need to custom the convert pages, you can also do that by the help of A-PDF Word to PDF. Look at the below step-by-step tutorial to know how to custom page range while converting MS Word file to PDF file.